Foucault was such a towering influence that Kittler seems to have indulged in a little hero-worship. Anticipation of Foucault’s latest writings would set the young Friedrich’s pulse racing quite as much as getting his hands on a new LP by his beloved Pink Floyd, and he noted with regret in later years that a sudden attack of nerves meant he fluffed his best opportunity to meet the great man. Friedrich Adolf Kittler was born in 1943 in Rochlitz, Saxony, soon to become part of the newly divided East Germany. At fifteen, he emigrated with his family to pursue higher education in the West, and it was at the University of Freiburg that Kittler spent his formative intellectual years and early career, from 1963 to 1986, first as a student of Germanistik, Romance Philology and Philosophy and then later as a lecturer. Freiburg, on Germany’s western border, was particularly receptive to the new wave of ‘French thinking’, but the poststructuralism absorbed by Kittler and his cohort had acquired a distinctly Teutonic inflection as it crossed the Rhine. In the charged atmosphere of postwar Germany, ‘Derridada and Lacancan’ were contentious figures whose ideas carried a whiff of a discredited tradition of irrationalism, and worse. In Paris, Heidegger’s legacy informed the radicalism of 1968, but in Freiburg, still haunting the corridors in his dotage, he was a troubling reminder of German philosophy’s association with National Socialism. Adopting neo-Heideggerian poststructuralist ideas in such a fraught environment suited Kittler’s contrarian tendencies, however. While the would-be Marxist revolutionaries of Freiburg were sitting in and dropping out, Kittler, having spent his childhood under East German communism, preferred to stay in his room with only Foucault and the Floyd for company. Kittler’s other formative theoretical influences reached him from across the Atlantic. From Marshall McLuhan he derived a concept of culture in which media technologies were central and determining factors. Fed through Kittler’s Foucauldian post-human sensibilities, however, such ideas became altogether more radical and far-reaching. For McLuhan, media are extensions of man, but Kittler was intent on dispelling such anthropocentric delusions. Technology is no mere prosthesis of the human, but rather its effacement. ‘All that remains of people is what media can store and communicate’, he declared. McLuhan’s seminal text, Understanding Media, provided a landmark but also a departure point for Kittler. Any such ‘understanding’ is impossible, since it is media technologies themselves that shape the very conditions of knowledge and thought. Kittler’s work instead sets itself the more oblique task of ‘description’, detailing the historical emergence of technologies, their structures and systems. In what David Wellbery calls this ‘post-hermeneutic’ mode of theorizing, the traditional vocabulary of criticism is replaced by the bracing new lexicon of information science, a terminology of channels, inputs and outputs, signals and noise borrowed from Claude Shannon. Once again, these theoretical imports acquired a distinctive German tinge. In North America, the media theory of McLuhan and Shannon surfed a postwar wave of technological optimism and progress, but in Germany the same period inevitably prompted more troubling reflections about machines and their capabilities. World War II casts a long shadow over Kittler’s work. Growing up, he would holiday in Peenemünde on the Baltic coast, a landscape still bearing the traces of V2 rocket production. The wreckage and effects the Nazi war machine were everywhere and yet cloaked in silence. It is unsurprising that war lurks continually in the background of Kittler’s work. It is not human agency but military conflict that drives technological innovation. Early film cameras owe their design to the development of the machine gun, but such civilian applications are merely incidental ‘misuses’ of military hardware. In place of a decentred human subject – ‘so-called man’ – it seems that the engine of change in his media histories is war. Geoffrey Winthrop Young describes Kittler’s trajectory as a ‘widening spiral’, revisiting the same themes from a more expansive perspective, but his career can be broken down more conveniently into three stages. In its early period, until the mid-1980s, Kittler’s career bears the strongest traces of his disciplinary background in literature. His Habilitation thesis became his first major work, Discourse Networks 1800/1900. Published in 1985 and appearing in English five years later, it began with the central figure of the German canon, Goethe. But this was Goethe with a difference. The post-hermeneutic approach to German Romantic poetry focused not on interpretation and meaning, but on information processing. Literature was part of system of connections linking humans, technologies, bureaucracy and writing. The German title, Aufschreibsysteme, a term lifted from the memoirs of the schizophrenic Daniel Paul Schreber and translated as ‘Discourse Networks’, designated for Kittler the ‘technologies and institutions that allow a given culture to select, store and produce relevant data’. And in the discourse network of 1800, literature holds a special place. In the absence of other media capable of serial storage and transmission, the written word has a monopoly. Consequently, for readers in this pre-technological era, text was more than mere text. Writing could lay claim to a particular kind of magic, conjuring up the sound and even images that no technology could yet store. A century later, however, the Discourse Network of 1900 looks radically different. Kittler’s media history proceeds in the kind of abrupt jumps and lurches that testify to Foucault’s influence. But where Foucauldian discourse analysis stops at the edges of the written archive, Kittler sees the need to extend this method of cultural inquiry into other media: ‘All discourse is information, but not all information is discourse.’  At the close of the nineteenth century, with the advent of the typewriter and the invention of technologies able to store sound and moving pictures, media developed specialized functions. This splitting of data streams transformed literature’s place in culture. Writing now becomes technologized, but, just as importantly, as one media channel among others, its monopoly is lost. The printed page, newly demoted, emerges anew as a two-dimensional, inscribed surface, generating meaning through the pure differentiation of typewritten symbols rather than the transcendent voice of poetry. No longer the ultimate expression of Romantic inwardness or spirit, writing becomes visible simply as a series of mechanical marks on a material page. Lacan’s symbolic order, with its logic of structure and differentiation, is linked to the typewritten technology of the written word. Film, meanwhile, corresponds to the Lacanian imaginary realm, so-called because it centres on a misrecognition of the self’s wholeness, a necessary delusion sustaining the fantasy of a unified, coherent subject. And if the self is something of a psychic illusion, it is conjured into being through the same trickery as film, which creates wholeness and continuity from the celluloid reel’s succession of disjointed still images. The third part of Lacan’s triad, the real, Kittler maps onto early sound recording technology, which stored not only words but also the raw, unfiltered noise that cannot be incorporated into any symbolic system. The circuitry of the human and that of the machine are one and the same, in other words: we are not sovereign subjects but merely a function of media. Such juxtapositions of the technological and the psychological illustrate Kittler’s tendency for speculative, if densely argued, feats of theoretical bravura that thrilled some readers but left others distinctly unconvinced. And in the third and final stage of his intellectual career, covering roughly the last decade or so, he produced some of his most baffling work. At the time of his death, only two volumes of a planned tetralogy, Musik und Mathematik, had appeared in German, but it was in this phase that Kittler finally turned his attention to a putative ‘Discourse Network 2000’, arguing that previously divergent information channels had now been united in the universal language of the digital. Distinctions between visual, audio and written data may still exist for the purposes of human operatives, but this is only a superficial concession to the limitations of our senses and understanding. In reality, technology no longer speaks our language. Humanity, always incidental to the communications network, is now out of the loop, as ever more powerful computers trade data with one another. Such meditations on the present moment were accompanied by yet another bold leap, but this time back to Ancient Greece. If digital code represented a universal language able to store and transmit all data, then it also meant that culture had come full circle. Hellenic notation systems, and the technology of the lyre, had similarly united music, mathematical numbers and alphabetical language. The ‘widening spiral’ of Kittler’s career had expanded just about as far as it was possible to go, and perhaps further. Any project taking in two thousand years of history was open to accusations of hubris, but there were also criticisms that Kittler had turned his back on the radical implications of his early work in favour of the comforts of cultural nostalgia. Having distanced himself increasingly from his poststructuralist starting point, it seemed that in place of discontinuities and deferral, he embraced notions of plenitude, occidental grand narratives, and a rather questionable vision of Greek cultural purity. Kittler’s career culminated at the Humboldt University in Berlin, where he moved in 1993, having left Freiburg for a relatively brief six-year stint as Professor of Modern German Literature in Bochum. 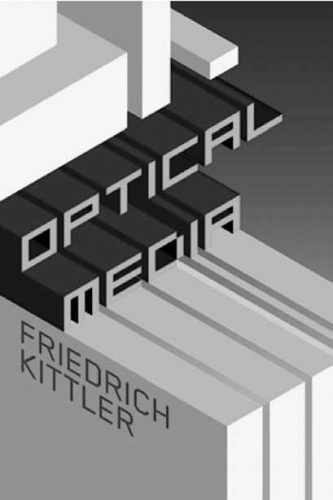 Having begun as a student of literature and philology, he ended as Chair of Media Aesthetics and History, a journey which is indicative of Kittler’s own shifting focus, but also of the rise to prominence of what has come to be labelled ‘German media theory’. If his early arguments had to be routed through the disciplinary channel of literature, his position in Humboldt’s cultural studies department allowed him to range unapologetically across Hendrix, Homer and Heidegger. And in the ‘transdiscplinary’ atmosphere that he himself had helped to bring about, Kittler taught computer programming as well as the humanities, a skill that he insisted was imperative for students of culture. In these late years at the Humbolt, he even found himself something of an inspirational figure. Kittler became cool; the new name to drop. As the eccentric, white-haired guru of Mediawissenschaft, he was surrounded by a coterie of artists and young intellectuals. Ironically, for someone who revelled in his outsider status, he became the centre of a group. Members of this Kittlerjugend, accompanying him to conferences and augmenting his papers with outlandishly costumed performance pieces, provided an element of the perverse and the provocative, which he enjoyed. Someone for whom the human and the technological were inextricably linked, Kittler was kept alive in the end by life-support machines until his final command: ‘Al e Apparate ausschalten.’ Switch off all apparatuses. 1. ^ Matthew Griffin and Suzanne Hermann, ‘Technologies of Writing: Interview with Friedrich A.
Kittler’, New Literary History 27, 1996, p. 734. 2. ^ Friedrich Kittler, Gramophone, Film, Typewriter, Stanford University Press, Stanford CA, 1999, p. xl. 3. ^ Friedrich Kittler, Discourse Networks 1880/1900, Stanford University Press, Stanford CA, 1990, p. vii. 4. ^ Geoffrey Winthrop-Young, Kittler and the Media, Polity Press, Cambridge, 2011, p. 4. 5. ^ Kittler, Discourse Networks, p. 369. 6. ^ Friedrich Kittler, ‘A Discourse on Discourse’, Stanford Literary Review, vol. 3, no. 1, 1986, p. 157. 7. ^ Kittler, Discourse Networks, p. 184.